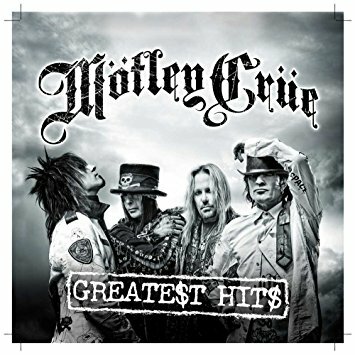 Motley Crue was a band that didn't need hit singles. They were very popular in the 80s. But they had two top ten hits from their 1989 album Dr. Feelgood including the power ballad Without You. Motley Crue was formed in Los Angeles in 1981. Bassist Nikki Sixx had just left the band London and he was jamming with drummer Tommy Lee and guitarist and singer Greg Leon who Sixx worked with in another band. When Leon left, they brought in Mick Mars who had placed an ad in The Recycler as a loud rude guitarist looking for a band. Lee knew lead singer Vince Neil from high school. Mars saw him with his band Rock Candy. Neil was reluctant to leave at first. But when Rock Candy started falling apart, he jumped ship. Mars heard the expression "motley crew" about a band he was in. The stylized spelling was because they were drinking Lowenbrau beer at the time. They released a single and then signed with Elektra Records in 1982. They had already recorded an album which Elektra released. And the band toured Canada. They soon became famous for bad behavior. Sometimes these incidents were staged like a phony bomb threat that got them banned from Edmonton. What really got Motley Crue noticed was touring with Ozzy Osbourne in 1984. Their next few albums did very well. They had a 70s glam look and excessive behavior may have helped too. But Sixx almost died after a 1987 heroin overdose. And in 1988 the whole band went into drug rehab. Upon recovery, the 1989 album Dr. Feelgood became their most successful album. It was certified 6XPlatinum. Dr. Feelgood and Without You were both top ten pop hits. Without You reached #8 on the Billboard Hot 100. It is notable for Mars' steel guitar solo. Supposedly Without You is about Tommy Lee's relationship with actress Heather Locklear. Motley Crue faded after that mostly due to changing musical tastes. Grunge became very popular in the early 90s. Neil was replaced by John Corabi in 1992. But it didn't work out and Neil returned in 1997. They left Elektra to start their own label in 1998. Motley Crue continued until they retired in 2015. You can get all their hits on this budget comp. 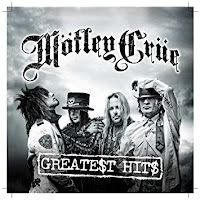 Here's the video for Without You by Motley Crue. Liked some of there songs, but was never a big fan of theirs. I did hear abut their heavy drug use. I am not surprised about them fading in the 90's like other Hair-Metal bands however. AccuRadio Song Of The Day-!! !